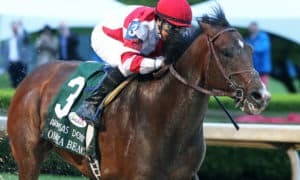 Saturday’s Grade 3, $200,000 Withers Stakes at Aqueduct will serve as the second of four Kentucky Derby Prep events in the state of New York. 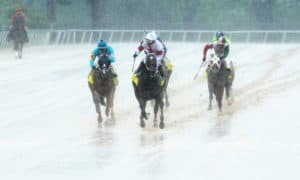 The winner of the race will earn 10 important points towards the Kentucky Derby, with the second place finisher earning 4, third place 2, and fourth place 1. 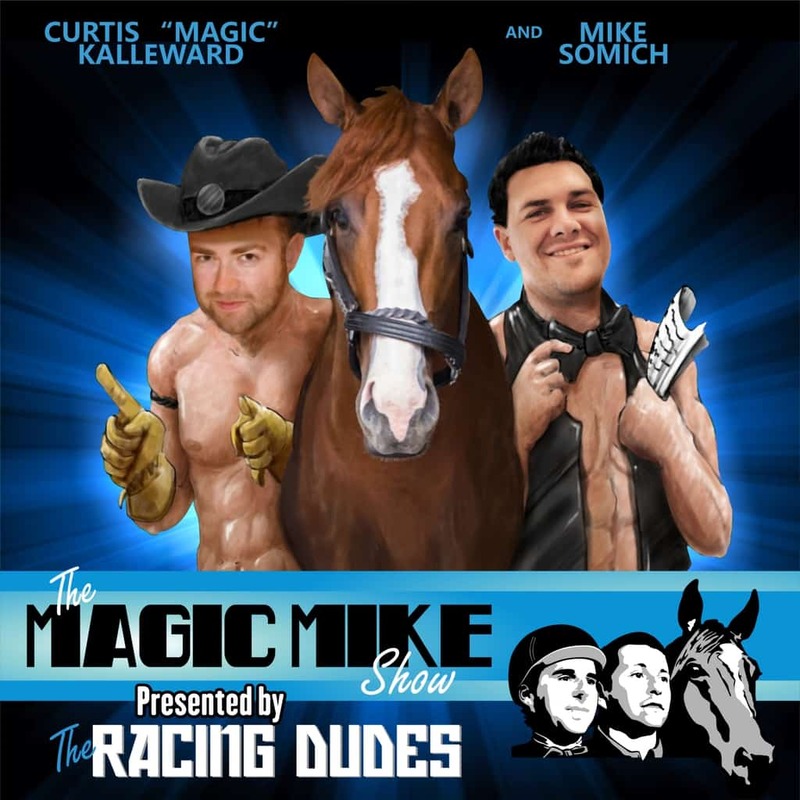 The race will be broadcast live on FOX Sports Saturday At The Races, airing on FS2, and produced by NYRA. 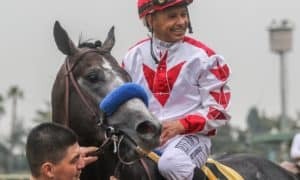 The live racing telecasts, which will feature more than 24 hours of coverage in 2019, beginning Saturday with a 2 1/2-hour show that will also air the Grade 2, $350,000 Holy Bull Stakes from Gulfstream Park and the Grade 3, $150,000 Robert B. Lewis Stakes from Santa Anita Park. The Withers is set for race nine on the card and has a local post time of 4:30 PM ET. For years, trainer Todd Pletcher has been the king of the NYRA circuit. 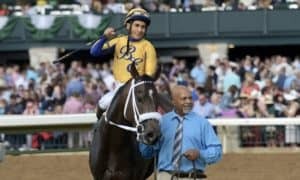 The Repole Stable and Eclipse Thoroughbred Partners-owned Moretti looks like his most serious horse on the Kentucky Derby trail. He debuted with a second-place effort at this track November 14, where he was defeated by a promising colt named Bourbon War. 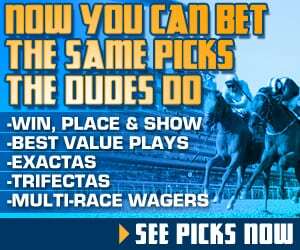 His next start on December 20 was a winning one, taking home a maiden special weight at Aqueduct by over 3 lengths. Jockey Manny Franco fills in today for his regular rider, John Velazquez. The Mark Casse-trained Our Braintrust has finished first or second in all four of his career starts and debuts from the Casse barn on Saturday. The colt was most recently second to Mind Control last time out in the $150,000 Jerome Stakes. Casse is still getting to know the horse heading into this event, admitting that he is trying to figure out how much talent this horse possesses. The full field from the rail out: Tax, Sir Winston, Moretti, Admire, Lucky Lee, Our Braintrust, and Not That Brady. #3 Moretti – A flashy maiden special weight win over this track has him primed for a shot here. That vent was contested at this same distance of 1 1/8 miles, and Bourbon War came back to impressively win a Gulfstream Park allowance event a couple of weeks ago. All the signs are there for this horse to roll today; yet surprisingly, Pletcher’s recent struggles are cause for concern. His barn is extremely light right now when it comes to 3-year-olds, which makes this horse a bit of a question mark. Perhaps Moretti is the horse that will get Pletcher going. #1 Tax – This is the race’s feel-good story. 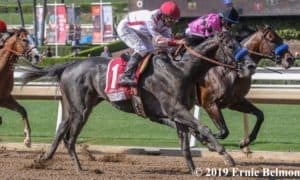 After running for a claiming tag in his first two races, Tax stepped up to the Grade 2 Remsen Stakes last time out and finished a very respectable third. Now the former claimer looks to continue down the Road to the Kentucky Derby while running at 1 1/8 miles once again. Towards the end of the Remsen, the top two finishers were pulling away from him a bit; however, those horses are better than what he is up against. He could be very competitive in this spot. #6 Our Braintrust – We will see if trainer Mark Casse can get this horse to the winners circle in his first ever start for his new trainer. Casse takes over the duties on a horse who has never been worse than second in four starts. He was a solid second in the $150,000 Jerome Stakes last time out, with the winner slowly pulling away from him late. 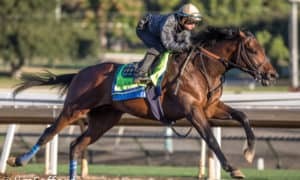 He looks like to be a bit of a grinder, which might work to his favor today, with this race being contested at 1 1/8 miles. You can rely on him to give an honest effort. 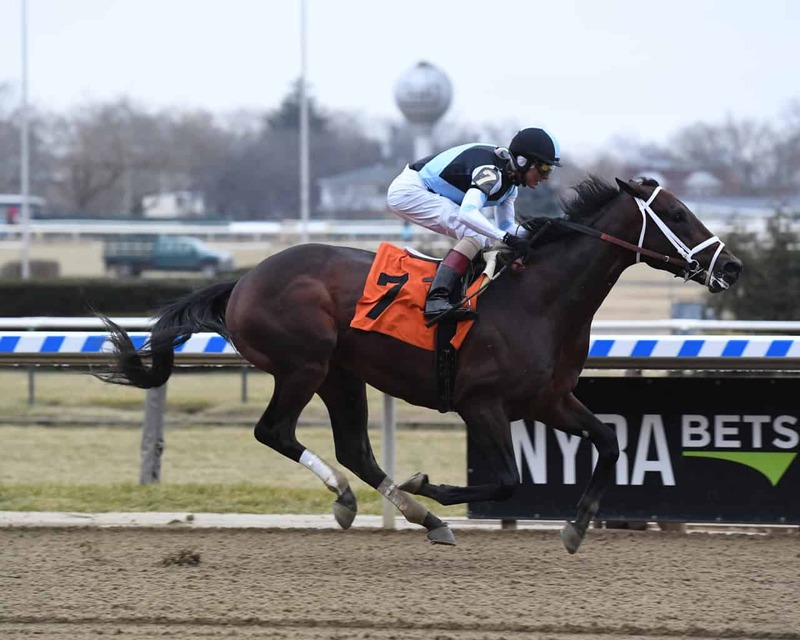 #7 Not That Brady – It’s always fun when a New York bred has a shot to win a major Kentucky Derby prep event in it’s own state. Those horses tend to become popular, which is what Not That Brady is trying to do in this spot. 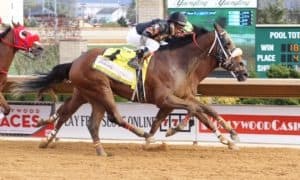 After two runaway wins against state bred stakes company, this seems like the next logical race, while his speed figures fit in with most of this group. The only major question mark today will be the stretch out in distance. All of his races up to this point have come at a mile or less. 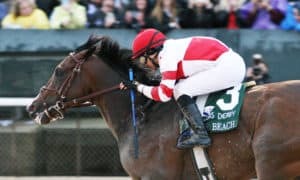 #4 Admire – Trainer Dale Romans has had success in the past with horses running in New York on the Kentucky Derby trail. From a speed figure standpoint, this horse will have to show improvement. He has a lot of potential, which makes him interesting, but he will have to improve in a big way to have a shot. There is still a lot he has to prove. #2 Sir Winston – This will be his first start on the dirt since his debut race, where he was a well-beaten sixth. He shipped to Woodbine after that poor effort, winning two of his last three races, before showing up in today’s contest. It’s not completely out of the question for him to run well today; however, he has a lot of improving to do.